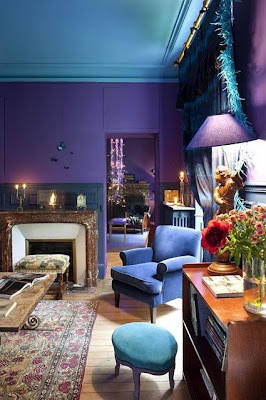 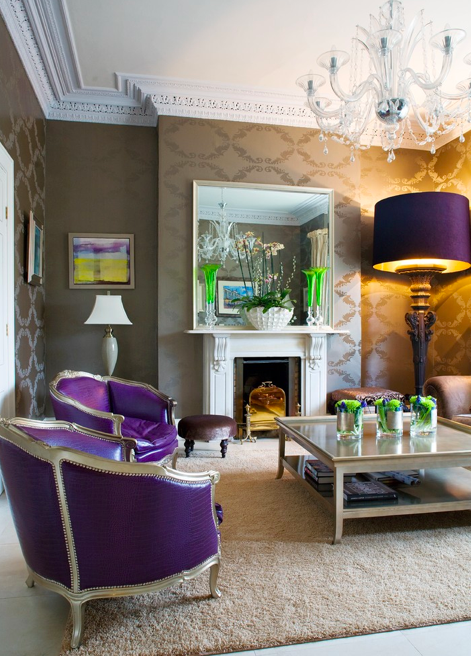 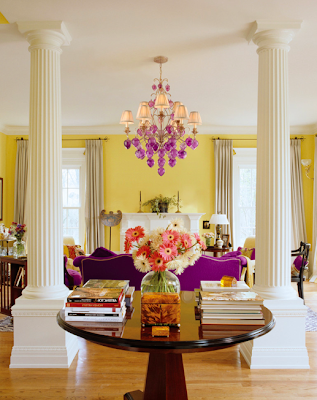 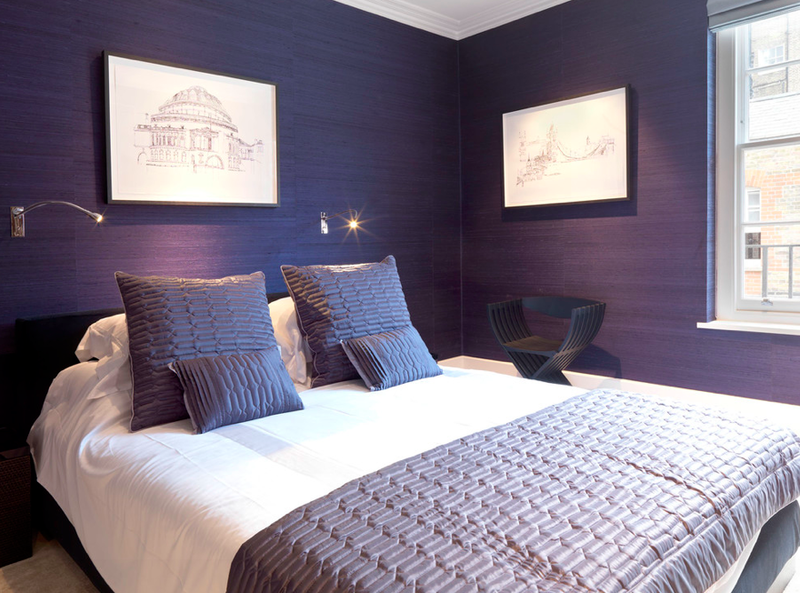 Love the purple walls with peacock ceiling..it sounds daring yet totally works. 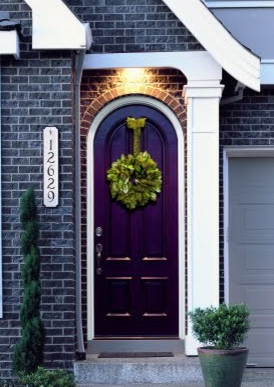 For a more subtle option paint a door purple...love the arch! 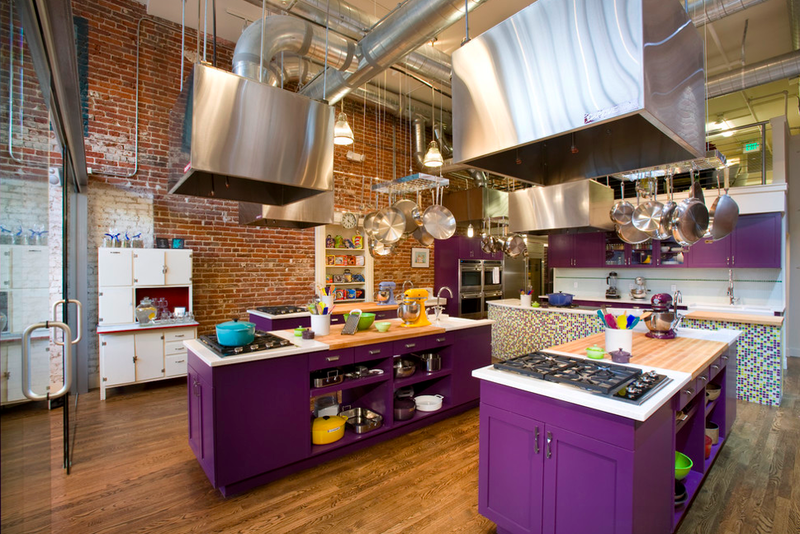 Purple kitchen cabinets! I wish I was this daring. Purple walls make you nervous? Furniture can still have a big impact. 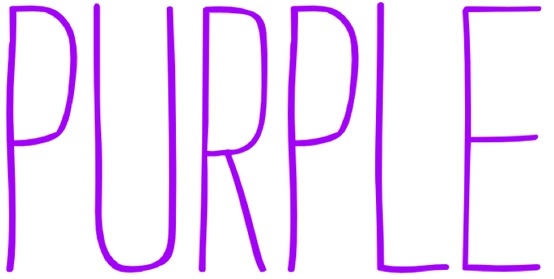 Purple grass cloth! Yes please! One of my favorite purple spaces! 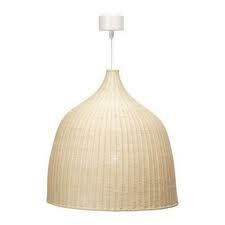 The light fixture could be a total DIYwith a can of spray paint and the following Ikea light fixture! 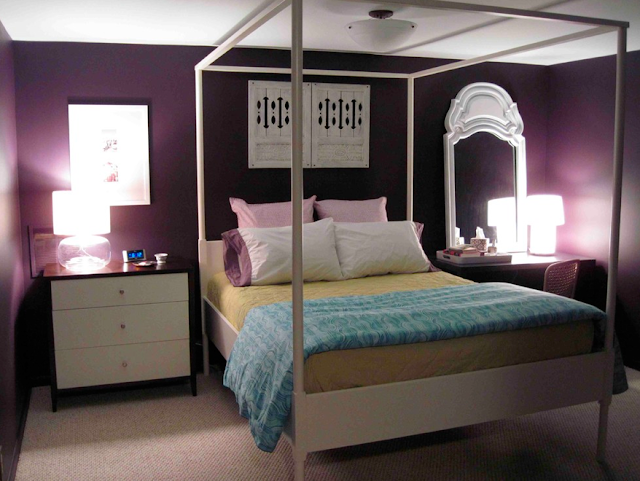 I could not find it on their website...so hopefully it hasn't been discontinued. 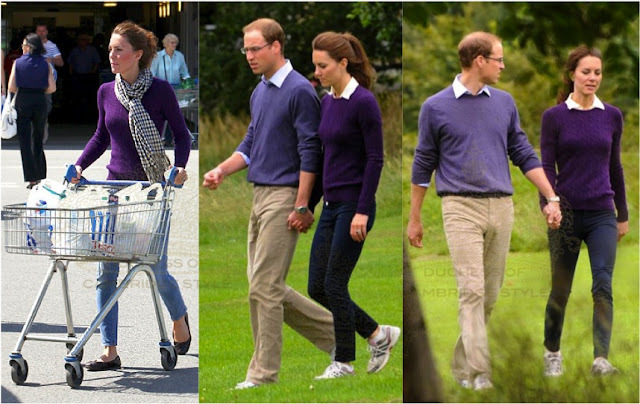 Purple is known as the color of royalty so who better to show purple in fashion than Kate herself. 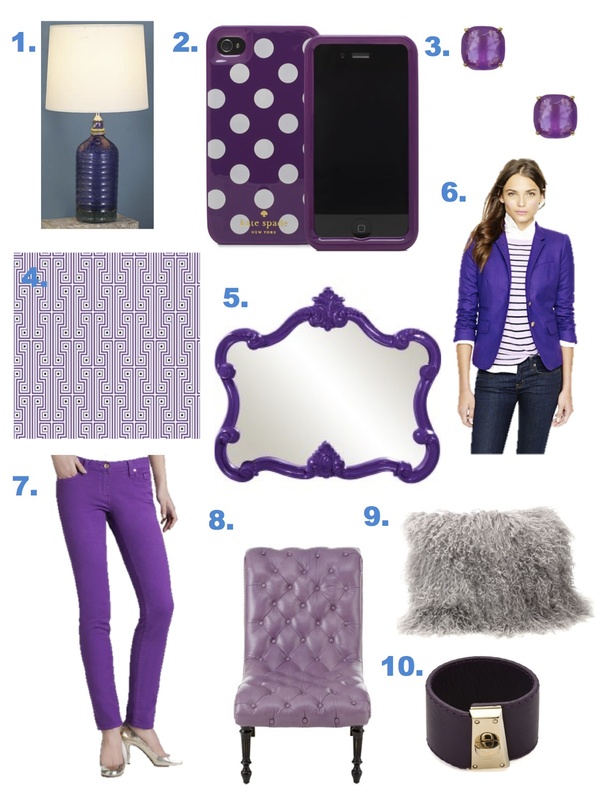 love a rich purple during the chillier months!